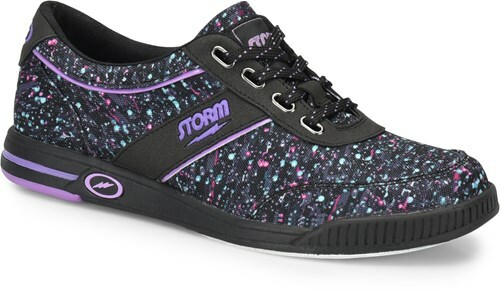 Introducing the Storm's far-out shoe, the Womens Galaxy! The sporty style and creative colors are truly out of this world! Hello, do the bowling shoes for women come in purple??? I would recommend that you get the True Fit just to be safe in case you were between sizes. 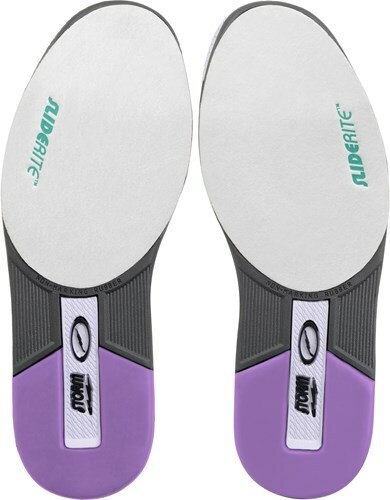 If you have never had a Storm shoe before then it would be hard to know how this will fit you exactly so the True Fit option will help you exchange the shoe if it did fit a little larger or smaller than your other shoes. 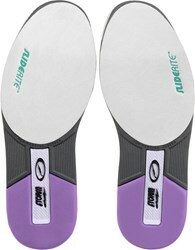 I want a flexible sole shoe, not hard, which is this? Not all of the shoes' soles will go all the way to the top of the shoes. Yes, this is a tie shoe. Because of a handicap, I cannot tie shoes. Are these slip on? I have a pair with mary janes with velcro now, but I can't find them anymore. These are not slip ons, they are tie shoes. Due to the time it takes to produce the Storm Womens Galaxy Multi ball it will ship in immediately. We cannot ship this ball outside the United States.